We made it simple, we proved it worked. 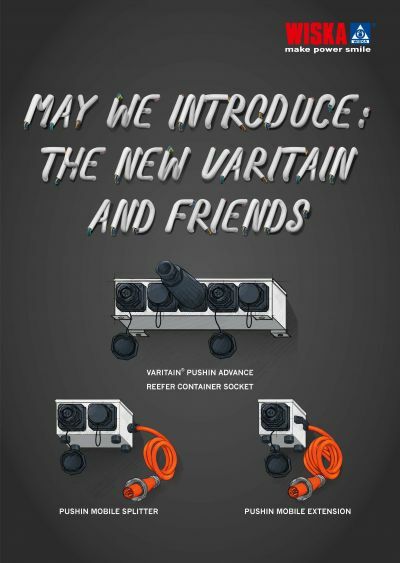 The VARITAIN® PushIn is a pioneer in its class. It shows how the PushIn technology with LED alert turns any plug into a safe connection for the crew. It is a socket with a single spare part module which makes replacing it easy and hassle-free. Just push in. The integrated circuit breaker is automatically switched on after plug-in. No separate turn on and off is needed. The PushIn technology ensures that voltage is only supplied after plug-in and automatically switched off after plug-out according to ISO 1496-2. 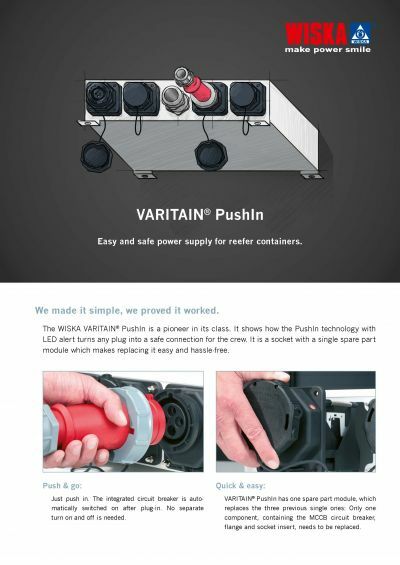 VARITAIN® PushIn has one spare part module, which replaces the three previous single ones: Only one component, containing the MCCB circuit breaker, flange and socket insert, needs to be replaced. The VARITAIN® PushIn socket flange alongside the bayonet cap, show our smart use and long-standing experience of non-corrosive components in maritime applications. LED reports the current status for quick check of function. The WISKA® VentPLUG pressure compensation unit ensures permanent pressure equalisation between the interior and the exterior and therefore, minimises the risk of condensation water (optional). To ensure efficient performance, every material that is used in our products is of high quality, tested and approved by relevant authorities.